As much as I hate WordPress, I also like it. It is simple to use, and requires so little time to update and maintain it, especially with all the plug-ins available. However, this brings up some important issues with security. As a developer, WordPress is not built very well. It doesn’t use any popular frameworks and can be a pain to develop for. It is always targeted by hackers and could compromise the server it is hosted on, especially if not taken care of well. The alternatives require a lot of work. Especially in a fast paced technology world such as web development. 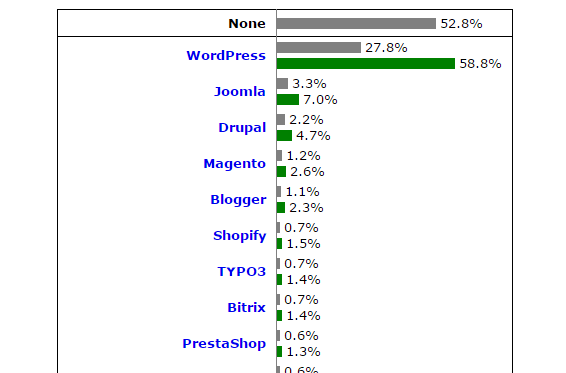 There is nothing like WordPress in terms of popularity currently. So what are the alternatives? These are great alternatives, however, not as popular. Sometimes having a higher cost in development or plugin costs. I run this website for free, and do not want to spend money on it, since I make $0/month on it. What do you think? What should I do? Should I stay on this platform, or should I move into a new platform? Let me know in the comments!